Sometimes I still really miss the crispy M&MS, which haven’t existed (in the States) since 2005. A pretty exciting alternative, though, are the newish pretzel ones. As in many snack-things, the salt is what sells it. Yum! The perfect complement to a peanut butter cookie. Wikipedia tells me that “[i]n July 2009, a study showed that a dye similar to that in blue M&M’s showed benefits in helping paralyzed rats to walk again.” I don’t know what to do with this information. Cream the butter and sugars together until light and fluffy. 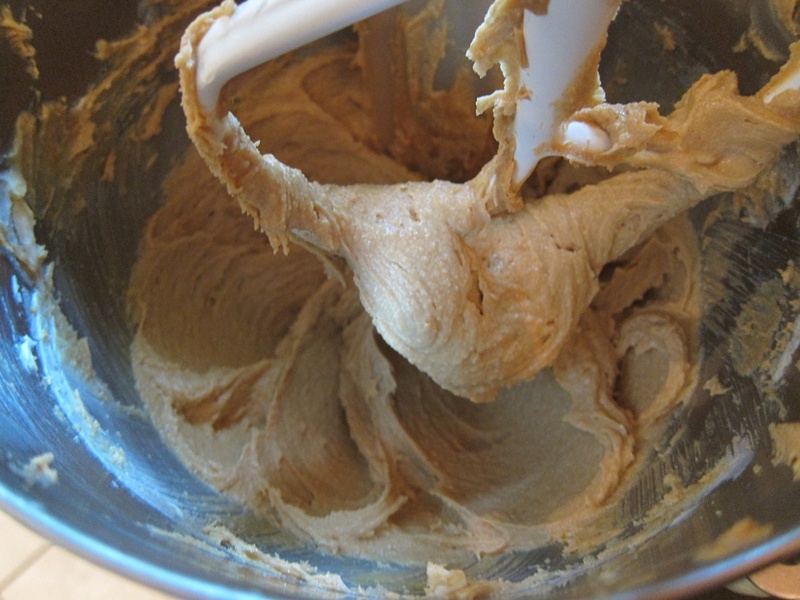 Beat in the peanut butter, scraping down the sides of the bowl once in the middle. Beat in the egg and vanilla until evenly mixed in. Beat in the baking soda and flour, starting with the mixer on slow. Beat until just combined, scraping down the bowl once or twice in the middle. 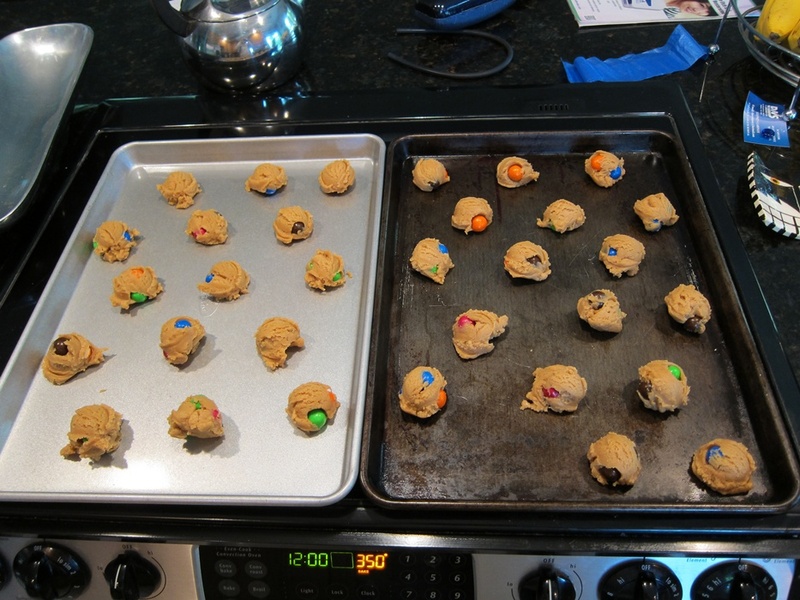 Fold in the M&Ms, then form the dough into a rough disk on some saran wrap. Refrigerate for at least half an hour. Preheat the oven to 350 degrees. 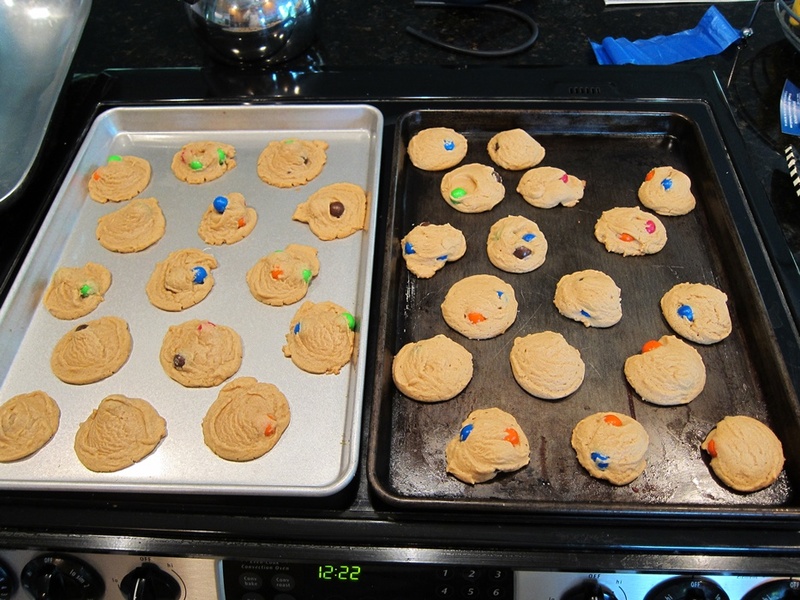 Scoop the dough into rounded tablespoons at least an inch apart on two ungreased baking sheets. Used a scoop for a change. Bake for 9-10 minutes. They don’t brown much, and come out of the oven a bit puffy and then flatten some as they cool. Let cool at least 20 minutes on the sheet and they’ll hold together when you try to pick them up. The ones on the right are straight out of the oven, the other had 10 minutes to deflate. I don’t think it’s necessary to bake one pan at a time, I just…did. Another hit with the floor hockey team! I would definitely make these again. Next time, though, I might flatten the dough balls out so that they’re a bit more even not bulges with flat edges. Cream the butter and sugars together until light and fluffy. 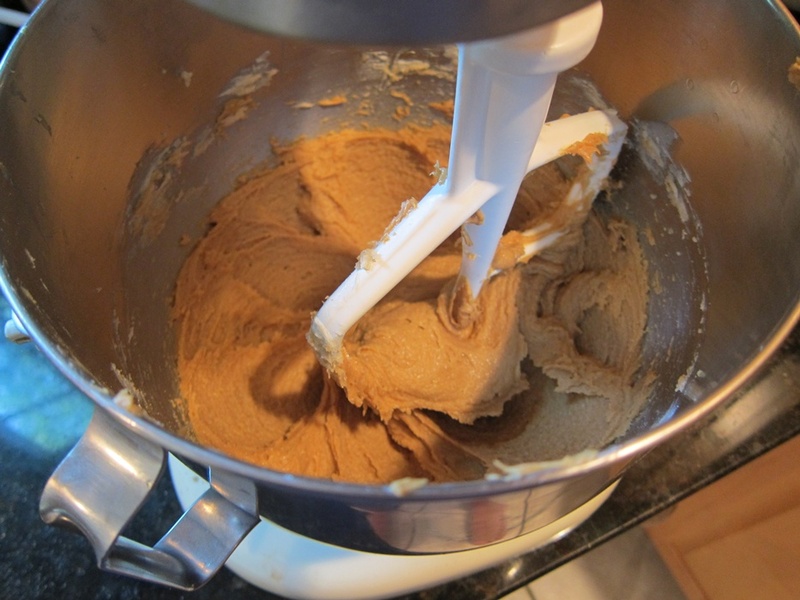 Beat in the peanut butter, scraping down the sides of the bowl once in the middle. Beat in the egg and vanilla until evenly mixed in. Beat in the baking soda and flour, starting with the mixer on slow. Beat until just combined, scraping down the bowl once or twice in the middle. 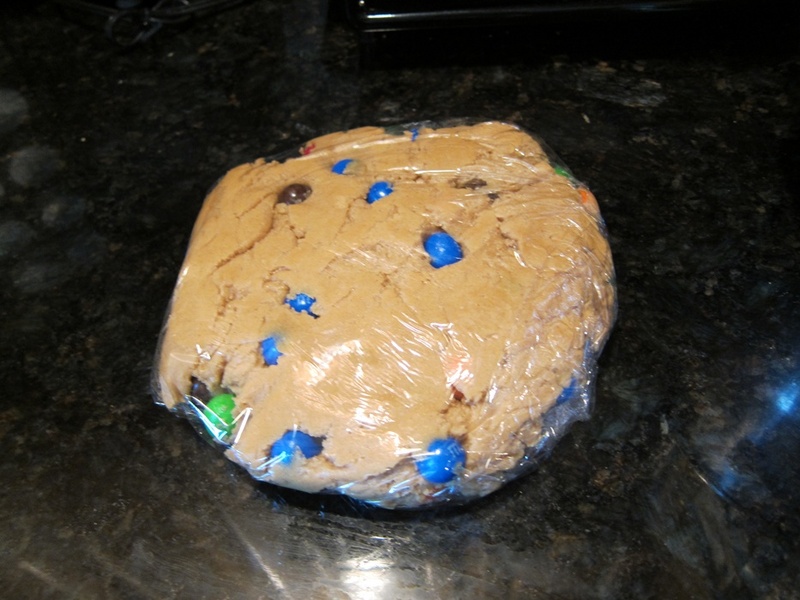 Fold in the M&Ms, then form the dough into a rough disk on some saran wrap. Refrigerate for at least half an hour. Preheat the oven to 350 degrees. 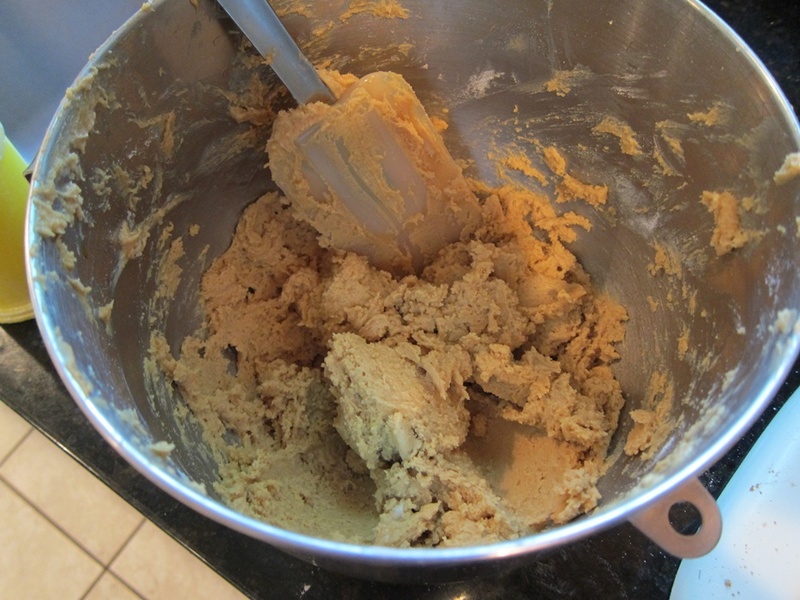 Scoop the dough into rounded tablespoons at least an inch apart on two ungreased baking sheets. Flatten each ball slightly by pressing down with your hand or a spatula. Bake for 9-10 minutes. Let cool on the pan at least 20 minutes before trying to move. 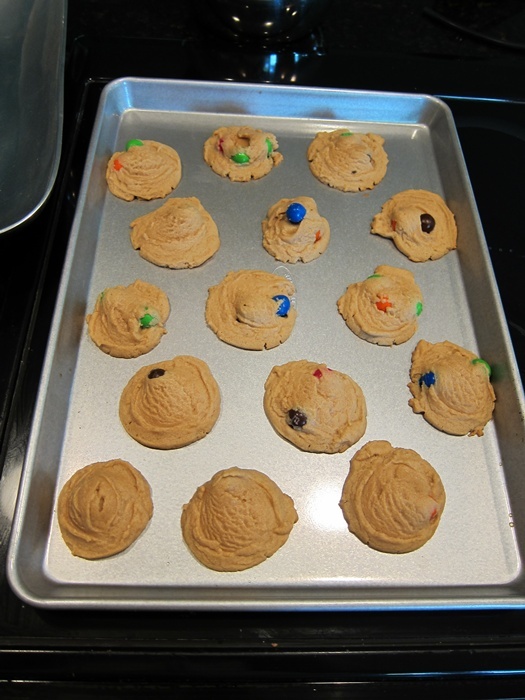 This entry was posted in Dessert and tagged Cookies, peanut butter cookies, pretzel M&MS. Bookmark the permalink. I support the salty/sweet cookie concept so hard. hehe never would have guessed it, coming from you!